The Milwaukee Brewers made their first big move of the offseason (sorry Todd Coffey), sending top prospect Brett Lawrie to the Toronto Blue Jays for starting pitcher Shaun Marcum. So what to make of the first major move for the Crew in the Hot Stove League? 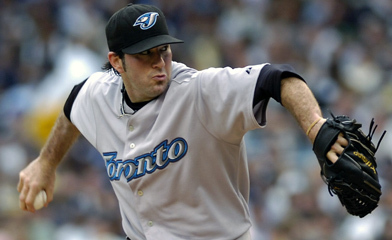 By the numbers, Marcum has been solid in his time with the Jays. Not great, but definitely not bad either. In his last three seasons his highest ERA was 4.13 and he never walked more than 50 batters. That's a far cry from the Brewers 2010 rotation members... of the five pitchers who went over 100 innings, none (read: ZERO) walked less than Marcum did. Also only one starter threw more innings - Yovanni Gallardo. All this while competing in baseball's best division. National League fans will make the case for the league but let's be honest, if you are a pitcher would you rather face Boston, New York and Tampa Bay or Houston, Pittsburgh and the Chicago Cubs? It's a no-brainer before you factor in the fact you get to face a pitcher three times a game. But what about the cost? 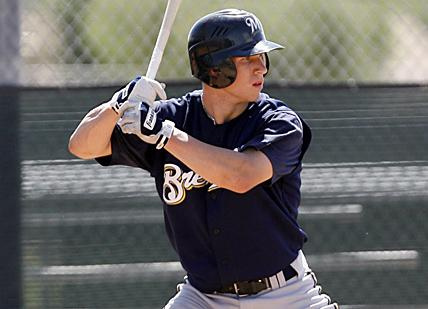 A pure hitter who many believe has a chance to be a future all star? Did Milwaukee ransom their future for a run in 2011? Yes and no would be the answer to that question. Let's first look at Lawrie and try and see what kind of hitter the Crew let go. Lawrie has played two minor league seasons at this point in his career and has been mostly successful. He hasn't displayed a ton of power - 21 home runs in 253 games - but has flashed a consistent ability to hit for extra bases. What that means is he has the potential to develop a decent power stroke, though he hasn't yet. The knock on Lawrie is his defense - he was drafted as a catcher, moved to second base and has looked like a catcher playing second base. 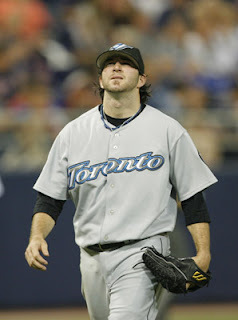 In his first season he committed 16 errors and followed that up with a 25 error campaign in 2010. He's nearing the majors as a hitter but as a defender he has a ways to go. Still there is a lot to like. Lawrie hit .280 in the minors with a decent .343 OBP, good numbers but not great. He also showed decent speed on the bases, stealing 30 bases and hitting 16 triples with Huntsville a year ago. To be blunt, Lawrie can hit. What kind of hitter he will be exactly we don't know yet, he's only 20 years old and has time to improve. He has the potential to be a very good player. But potential is a dirty word in sports, it convinces NFL teams to draft Akili Smith and baseball teams to trade for Corey Patterson. Not saying that Lawrie will join the annals of those high-ceilinged, low performers but his success is far from guaranteed. Another problem is that there was no clear path to the majors for Lawrie. Judging by the speed he was climbing the ladder to the show, he would be earning a call-up sometime next season. Milwaukee has very clearly been interested in signing second baseman Rickie Weeks to a contract extension (which now becomes priority no. 1) so that's one position gone. Corey Hart and Ryan Braun are firmly entrenched in the corner outfield spots, that's two more spots gone. To find playing time for Lawrie the Brewers would have had to push out an established player, which does them no good next season. Why not trade Hart, one might say. Well, as the trade market determined this past summer, teams have more interest in young players who don't get paid much than established hitters who are nearing a payday. If you want to make your team better for 2011, you have to give up prospects. Also, consider that Milwaukee had two second base prospects nearing the major league level. Eric Farris is fresh off the Arizona Fall League and a 2010 season with Nashville in which he hit .274. If he can maintain his minor league production to the big leagues he would be more than serviceable. That's if the Crew can't extend Weeks. The break down of this trade is really very simple. Milwaukee got better in 2011 without taking anything away from the major league club. They gained a major league pitcher without giving up a major league player. In a watered down NL Central (Houston and Pittsburgh will be non-factors and the Cubs look worse than ever) Milwaukee just got better.